Instagram have launched a new feature which allows users to make in-app purchases. They have lead with the by-line “buy from brands without leaving Instagram”, capturing the ease and convenience they can now provide shoppers with. This update could have a massive impact on the world of e-commerce. We explore how it works, how effective it will be and whether it will change the landscape of Instagram. What is “Checkout on Instagram” and how does it work? While users have been able to “shop” via their Instagram feeds and swiping up in Stories for the past year, the app would still link you to the retailer’s website to make your purchase. This still proved to be a highly successful move for Instagram, with over 130 million people tapping on these product tags every month. 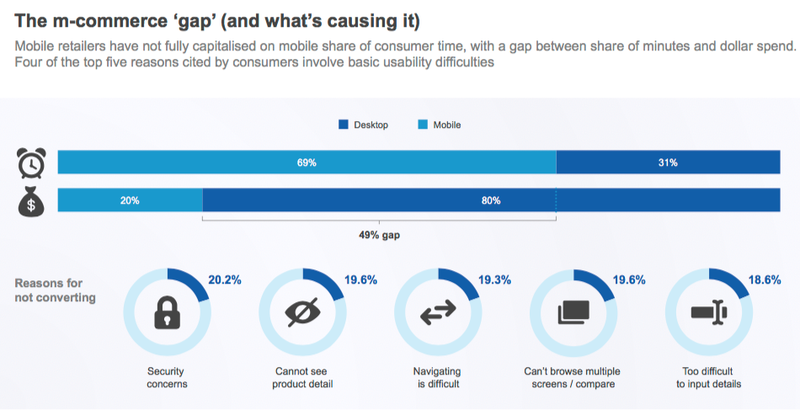 However, this extra step means that users are more likely to abandon their shopping carts in frustration, as long checkout processes and hard-to-navigate mobile sites put people off. In contrast, the new Checkout feature will allow consumers to make online purchases without even having to leave the app. It is currently being launched in a closed beta testing phase with a selection of 20 retailers and is only available to US users. The retailers who have already signed up to use Checkout include Adidas, Nike, H&M and Zara. Instagram have stated that retailers will be required to pay a “selling fee”, but haven’t disclosed how much this will be. Rather than charging users for the convenience of shopping on Instagram, the app will charge brands for their inevitable increased conversion rates. The commercial potential for Instagram is massive. While eBay had approximately 179 million active users per month in the first quarter of 2018, in June 2018, Instagram had 1 billion users. There is a significant difference between the volume of people using traditional e-commerce sites and social media platforms. The Instagram Checkout feature could revolutionise the way people shop online. Checkout is bound to be highly successful because of what it offers consumers: convenience. For clicks to turn into conversions, the process must be smooth, simple and quick. Shopping in the app removes the often-clunky process of being redirected to a mobile site, and potentially having to create an account to even register. Payment is another step that will become far easier. Once you have made your first purchase, Instagram will securely store your payment details so that you can make future purchases in no time at all. Shoppers will be able to pay through Visa, Mastercard and PayPal. Consumers are frequently put off from making purchases because of the lengthy process of registering details or creating an account, Checkout provides exactly the convenient shopping experience that people will respond to. In a world of digital distractions and short attention spans, Instagram have found the solution to incomplete purchases. The convenience of the Checkout in Instagram has huge potential for overcoming the m-commerce gap. While browsing on mobile devices has become increasingly popular, e-commerce conversion rates remain significantly lower on mobile compared to desktop. The suggested reasons for this vary, but include difficulty with navigation and entering details. Checkout on Instagram could finally bridge the M-Commerce gap. Now that users will no longer have to be taken to the retailer site to complete their purchase, or input details each time they want to buy, the whole experience of shopping on mobile becomes far simpler and far more convenient. Will the aesthetics of Instagram be affected? One thing to take into account is how the experience of Instagram will be affected by this new feature. Instagram is very much the “visual” social media platform, and people are drawn in by aspirational lifestyle shots and aesthetically pleasing angles. Will this new advertising platform lead brands to make any compromises with their imagery? Will Instagram become closer to a “digital mall”, and move away from a focus on providing the best visual experience? With Instagram set to launch an entirely separate shopping platform, it seems unlikely. What’s more likely is that brands will continue to use natural lifestyle shots featuring the products, rather than simply uploading an image of a model and turning the platform into an e-commerce site. Not only do these tend to be more engaging, they also tap into the aspirational side of marketing, showing users what they could be doing and seeing, as well as what they could be wearing. Instagram is home of the influencer and the introduction of “Checkout” may well provide even more opportunity for social media celebrities. At the moment, discount codes, affiliate links and “Swipe to Shop” sponsored stories are everywhere, but could this new feature help influencers to further monetize their channels? If brands could set it up so that consumers can buy directly from influencer channels, both parties are on to a win-win situation. Although brands would have to give influencers a cut of any profit made from conversions through affiliate Checkout posts, this is no different to how they already work with influencers. For influencers, higher conversion rates due to their advertising collaborations will increase the amount they receive from brands. 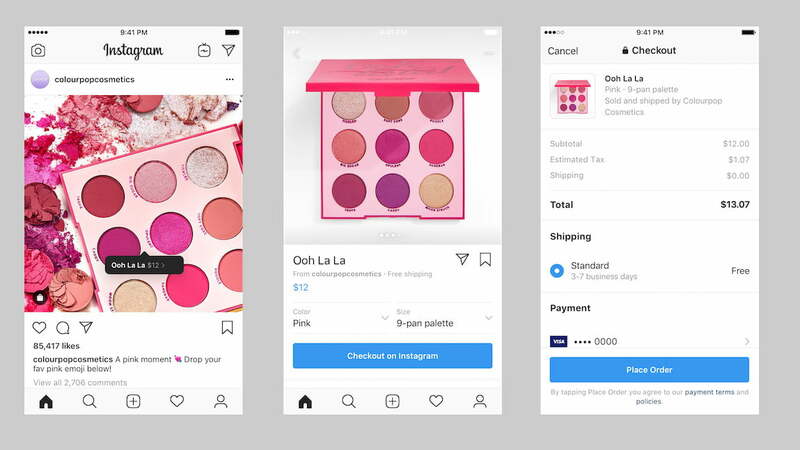 So there we have it – an exploration of how the ‘Checkout’ feature works on Instagram, and our predictions for how it will affect mobile conversions and the landscape of the app. Make sure to keep an eye on the blog for more updates on social media marketing. For information on how we can help you with Instagram advertising, take a look at our Social page.